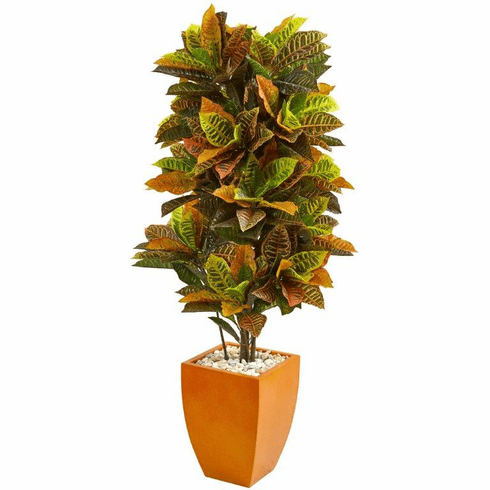 The bold, brilliant colors of this artificial croton plant's leaves jump to meet the eye. The green, red, orange, and yellow of the lush variegated leaves are amplified by the included retro-inspired orange planter. This plant can add a pop of color from an otherwise drab corner in your living room or hallway. Size (Including Pot) Height: 5.5 Ft., Width: 28 In., Depth: 28 In.